The Caribbean is recognized as a biodiversity hotspot and biogeographic region with high rates of endemism. Among the hundreds of birds identified on the island, the St. Vincent Parrot is listed as “vulnerable” according to the IUCN Red List of Threatened Species and under Appendix I of the Convention of International Trade for Endangered Species (CITES). The project aims to safeguard the parrot population by ensuring regulatory authorities are trained to the latest standards and equipped with the necessary gear. 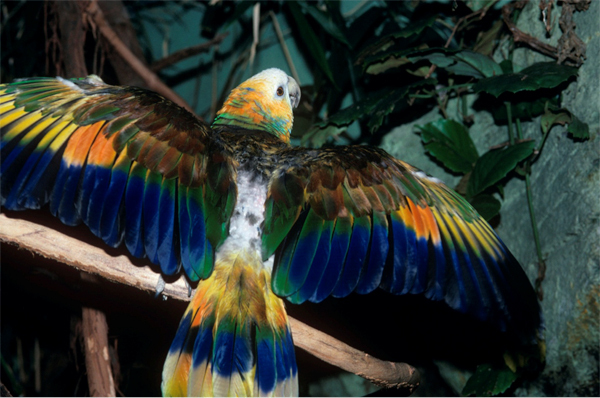 Combined habitat loss and illegal pet trade threatens the survival of the St. Vincent parrot. Specifically, inaccuracy in current census methods and an incomplete analysis of habitat loss also create a data deficiency that frustrates the parrot conservation efforts of St. Vincent’s Forestry Department. The Caribbean Emerging Wildlife Conservation Leaders (CEWCL) team with the St. Vincent Parrot Group aimed to increase the capacity of the Forestry Department and support personnel to implement species conservation strategies. In collaboration with the St. Vincent Forestry Department, the CEWCL team provided training for the forest rangers and support personnel in developing a more accurate census method, developing a GIS database, and producing field surveyors training manuals. 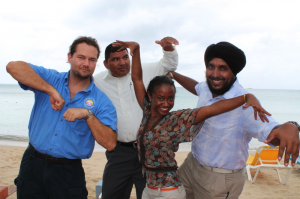 The International Fund for Animal Welfare (IFAW) provided a small grant to allow for the team to travel to St. Vincent to complete a workshop. The workshop was conducted from March 25-27, 2014, and provided training materials to nearly 20 Forestry officers and personnel.